Two years after the untimely death of Charles Lewis, the PR agency he founded, HHC Lewis, has continued its successful business relationship with a varied client list, one of which is Emerson Process Management. For around 20 years a team at HHC Lewis in Southampton has acted as the PR and advertising agency for Emerson across Europe, producing copy for editors under the guidance of US and European marketing, and ensuring a consistent advertising presence in published material. For the last two years the Emerson team and external responsibilities have been headed up by Adrian Chesney. 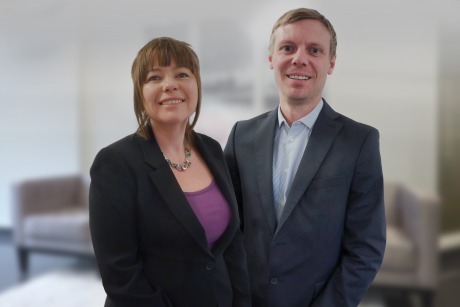 Now Adrian Chesney and Cherie Pearce, previously the Company Accountant, have led an MBO and are the new joint managing directors. Nick Taylor, Marketing Director for Emerson Process in Europe, is pleased to see HHC Lewis moving forwards, and hopes their excellent working relationship will continue in the future. Pearce and Chesney bought the business without outside funding, having acquired the shares from the previous owner. They are now the company directors and joint owners and will lead the business. Chesney joined the agency seven years ago as a PR account manager and Pearce has been with the company since 1995. Earlier this year the Agency relocated from offices adjacent to the Mayflower Theatre in Southampton, to a new office block in Southampton town centre. Other contact details remain the same.